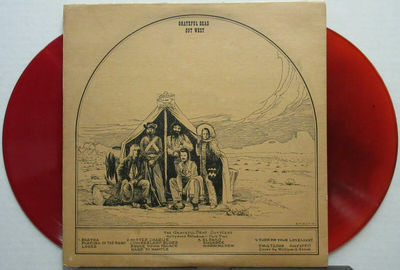 Original rare TMOQ Records double LP set, deluxe sleeve with William Stout artwork is VG condition, shelf-wear, edge-wear and dirt, NO splits, Disc 1 is red vinyl, disc 2 is orange/red vinyl with black clouding, both are VG+ condition with only a few super light surface marks from the paper innersleeves. Ten Years After - Positive Vibrations — Test Pressing!! !